In the report on her own Fake FISA Fix, DiFi makes this case that the phone dragnet program is not illegal. First, in reference to the call records program, some people will say that the FISA Improvements Act codifies an illegal program. It does not. This legislation does not provide any new legislative authority with which the government may acquire call records or any other information under Section 215—in fact, it narrows the existing authority for it. Section 2 of the FISA Improvements Act clearly prohibits the use of the Business Records authority to collect bulk communication records except through the supplemental procedures and restrictions required by this section, as are detailed in this report. As part of this previously classified program, in 2006, the Department of Justice sought approval from the FISA Court to collect call records in large number under the Section 215 Business Records provision. The FISA Court approved that request, and has reviewed and renewed that authority every 90 days for the past seven years. These renewal applications have been approved by at least 15 different federal court judges selected by the Chief Justice of the United States to serve on this Court. The Department of Justice’s legal analysis of the call records program has recently been publicly released, as have the two most recent opinions by the FISA Court as part of the reauthorization of the program every 90 days. Her rebuttal that this doesn’t codify the program is pretty funny given that just 1 paragraph earlier she talks about “codifying existing privacy protections,” which is the equivalent claim. I’m more interested in what she doesn’t address. She lays out how DOJ applied for and got authorization to collect this data in 2006 (she doesn’t say what date). But of course, it’s not. There was either legal reasoning dated February 24, 2006 that they’re hiding, or there was an absence of legal reasoning, which ought to be a major giveaway in either case. Moreover, all three documents DiFi points to as “the legal reasoning” suffer from a critical flaw. They all point to Congress’ “fully informed” reauthorization of the law to justify the validity of the law today. But that “fully informed” reauthorization didn’t happen. Indeed, DiFi’s own comments on the Fake FISA Fix twice tacitly admit that, when she notes that every member of the Senate got a chance to read notice on the dragnet, while remaining silent about the House. In addition, information concerning the bulk telephone metadata program has been made available to every member of the Senate prior to the reauthorization of Section 215, most recently in 2011. 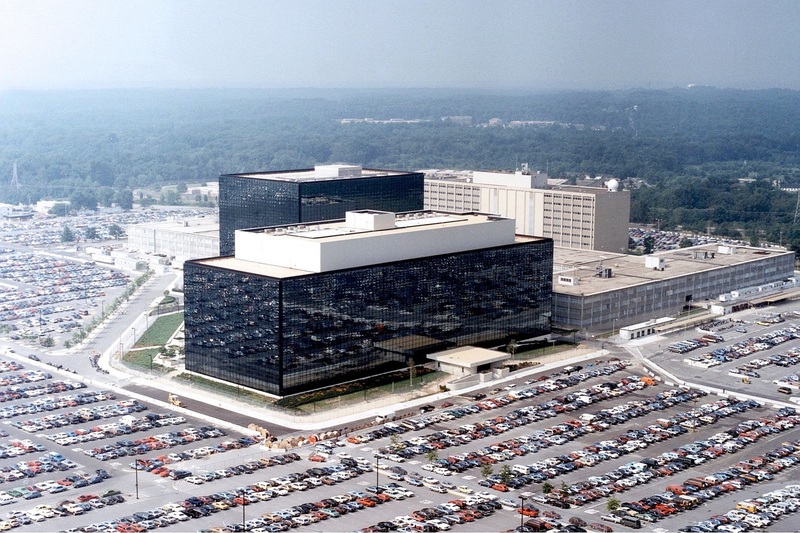 For example, the NSA telephone metadata program was approved by federal judges and overseen by Congress, where every member of the Senate had access to information concerning how the programs were conducted and an opportunity to voice objections and debate their efficacy. The White Paper goes even further. It obliquely admits not just that Mike Rogers refused to allow the House to learn about the dragnet before they voted on it. But it also, even more obliquely, admits that the Executive did not provide the legal reasoning in question until August 16, 2010, after PATRIOT was reauthorized the first time. I’m convinced! DiFi has made the case! The program does not, because of the ample notice problems in the past, fulfill the standards which the 3 documents require it would need to meet to be legal. But it might be if her Fake FISA Fix becomes law. Docket Inflation at the FISA Court? As I noted in my last post, I’m a bit alarmed by the docket numbers we’re seeing out of the FISC court. The order released today appears to be the 158th docket for the year. Compare that to the docket numbers from 2009, as revealed in the orders Reggie Walton issued while trying to clean up NSA’s act. His November 5, 2009 order appears to be just the 15th docket for the year, as compared to Mary McLaughlin’s October order being the 158th. We’re running at 10 times the pace we were 4 years ago. The thing is, while the comparison does make this year seem especially bad, it actually seems to be part of a longer trend. 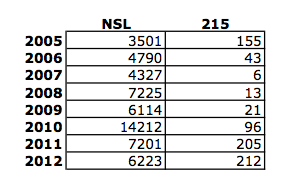 Here’s the numbers of NSLs and Section 215 orders the FISC has issued since 2005. Before we knew how extensive the phone dragnet was, these numbers suggested some of the NSL production got moved into the secret interpretations of Section 215 after 2010 (which is about the same time Ron Wyden and Mark Udall got especially shrill about it). While that may or may not explain the big jump between 2009 — when the Walton numbers are perfectly consistent — and 2011, it’s not the phone dragnet driving the numbers. That has only been responsible for something like 6 dockets in any given year, and more often just 4 (for example, even in 2009, the multiple iterations were just additional entries to the docket tied to that quarter’s order). 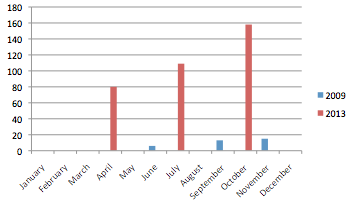 I thought, too, the Boston Marathon attack might explain higher numbers for this year. But we might even come in slightly lower than we did last year. Which is another way of noting how deceitful these numbers are. Any single NSL could include more than one American. We know at least some of the Section 215 orders include every American. So how many records might these entail of each one could represent every American? https://www.emptywheel.net/wp-content/uploads/2016/07/Logo-Web.png 0 0 emptywheel https://www.emptywheel.net/wp-content/uploads/2016/07/Logo-Web.png emptywheel2013-10-18 16:32:202013-10-18 16:32:20Docket Inflation at the FISA Court? FISC just released the opinion accompanying the most recent Section 215 phone dragnet order. In it, Judge Mary McLaughlin repeats the very same error Claire Eagan made. Although the definition of relevance set forth in Judge Egan’s decision is broad, the Court is persuaded that that definition is supported by the statutory analysis set out in the August 29 Opinion. That analysis is reinforced by Congress’ s re-enactment of Section 215 after receiving information about the government’s and the FISA Court’s interpretation of the statute. As I’ve noted over and over and over, the public record shows that the notice on Section 215 did not actually meet the terms of Eagan’s opinion. Not only did the vast majority of Members have to go out of their way to learn about this program, 19% in fact had no way of learning everything they needed to know about it. Therefore, the ratification presumption fails, and that legal basis crumbles. Each member was not presented with such an opportunity — certainly not one identified as such. Now, perhaps FISC’s clerks are incompetent and haven’t even scanned the Google alerts on the issues before them (McLaughlin did finally address US v. Jones, so maybe it’s just a very slow Google alert?). But this points to the problem with FISC’s lack of an adversary. Because anyone coming before the court would presumably help out FISC’s clerks by pointing them to the many many many reports of how inadequate this notice really was. Instead, they keep repeating the same mistake over and over — and proving the claims about being a rubber stamp.